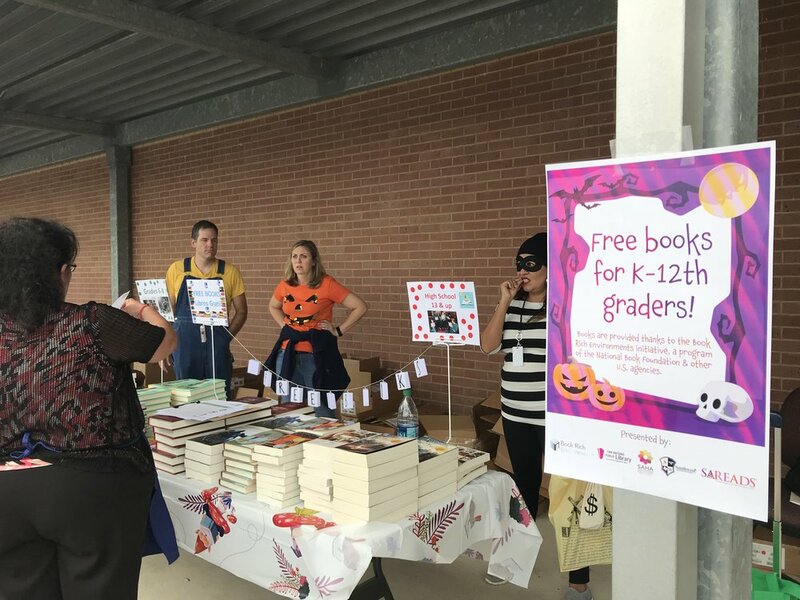 Teachers at Southwest ISD are changing the way they teach children to read because modern brain research proves virtually all children can learn to read with effective instruction. Southwest ISD leaders and teachers are committed to a comprehensive and strategic plan to raise reading achievement districtwide. SAReads and Southwest ISD are partnering to train teachers to use science of reading in the classroom. The key to changing student reading outcomes is changing classroom instruction, so this fall 38 educators from Southwest ISD participated in 10 days of professional development combined with independent study to become certified LETRS® trainers. These “Trainers of Trainers” or “TOTs” are model teachers, academic coaches, and reading interventionists selected from eleven elementary schools. Several school district administrators also participated in the TOT training. In addition, all elementary principals attended a 2-day Principal Primer on raising reading achievement. LETRS® training was presented by a phenomenal team of international literacy consultants / authors, including Dr. Mary Dahlgren, Pati Montgomery and Dr. Carol Tolman. Courses were filled with eye opening information based on brain and reading research that prove the human brain is NOT wired to read naturally. Most children require explicit systematic phonics instructions, particularly in kindergarten through 2nd grades. The excitement spilled over to other elementary teachers because they will learn the science of reading from the certified TOTs starting this spring. Becky Gonzalez will facilitate the training and implementation of the science of reading in classroom instruction at the elementary schools in the New Year. For more information on the science of reading, listen to the documentary podcast Why Aren’t Kids Being Taught to Read? Forbes and the New York Times also published this story. These articles explain why explicit systematic instruction is critical for reading success. Follow SAReads on social media as we introduce our “SAReads Fellows” and describe the impact of the science of reading on student reading outcomes. Harvey Najim visits Spicewood Park Elementary to observe SBRI in the classroom. Principal Krista Nail explains the impact of SBRI on students’ reading outcomes. Southwest ISD elementary principals learn the science of reading from Pati Montgomery (far left). Southwest ISD educators participate in LETRS® training and certification. Pictured with national literacy consultant, Dr. Mary Dahlgren. 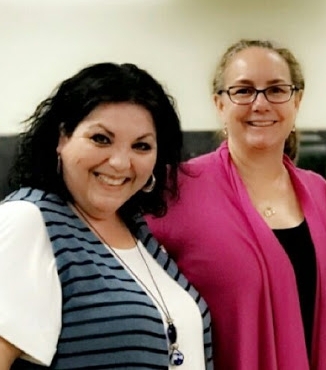 Southwest ISD Board of Trustees Yolanda Garza-Lopez and Florinda Bernal and Assistant Superintendent of Curriculum & Instruction Dalila Garcia observe LETRS “Trainer of Trainer” class. 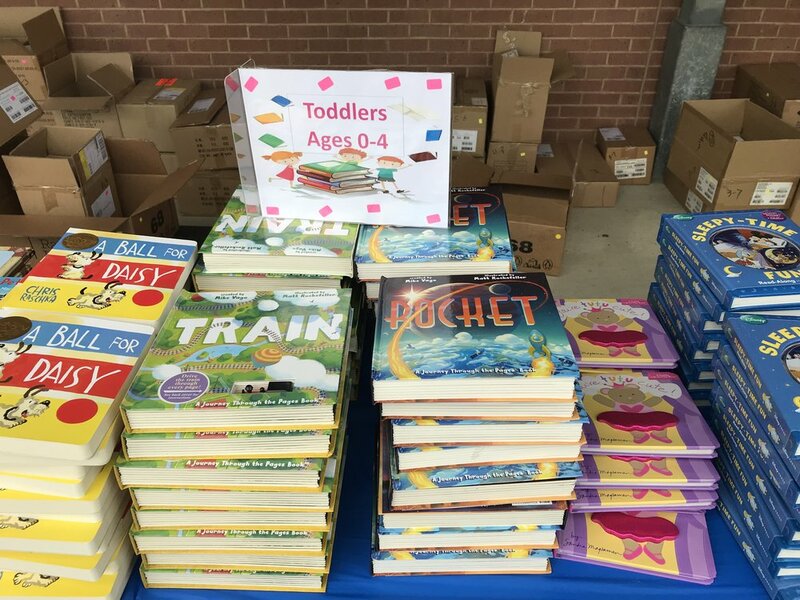 With help from the National Book Foundation's "Book Rich Environments" initiative, SAReads provided more than 3,000 new books to Southwest ISD families! 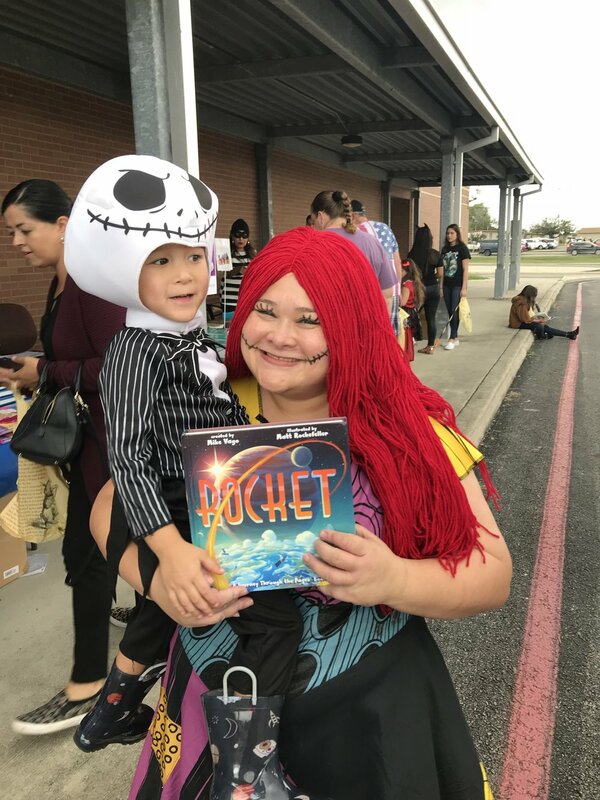 It is the BEST Halloween ever when children get to “trick-or-treat" for BOOKS! SAReads is grateful to local partners, San Antonio Housing Authority and the San Antonio Public Library, for including us in this project. 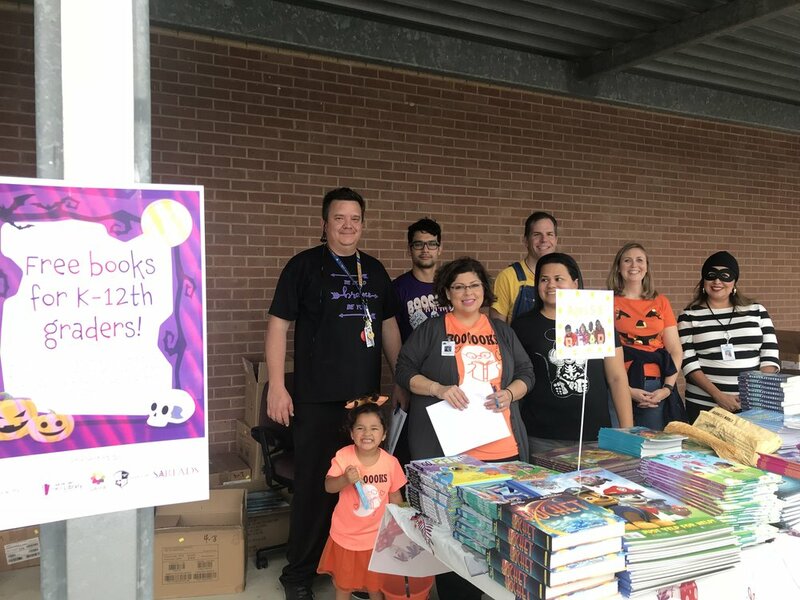 SWISD elementary librarians who worked tirelessly to organize, deliver and distribute the books to students. It was quite a feat! 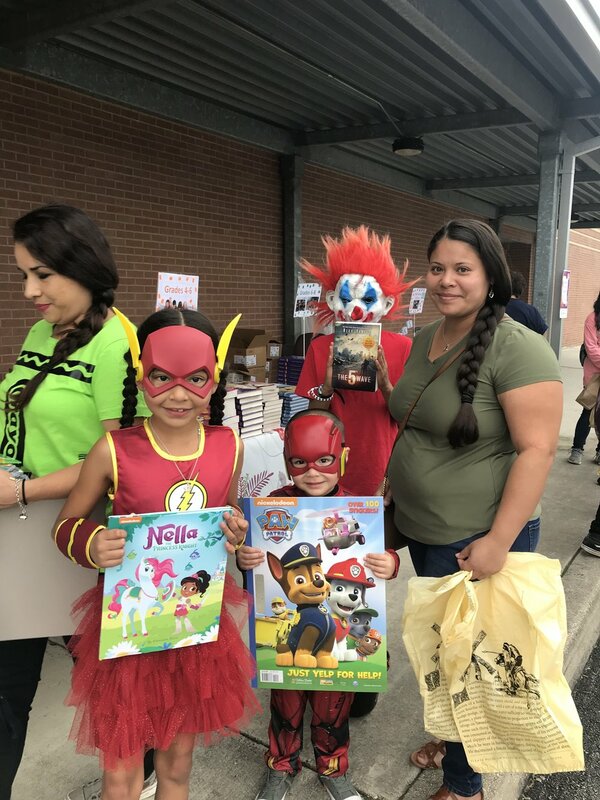 Ms. Rodriguez said, "It was so nice to be able to give out FREE books to the children and families! Thanks to the National Book Foundation for donating new books valued at more than $36,000. Book Rich Environments is a tri-sector collaboration between nonprofit organizations, national government agencies, and corporate publishers that aims to infuse communities across the country with a vibrant and accessible culture of books. The initiative connects families with reading-related resources, working to improve opportunities and outcomes. Thanks to everyone who donated books during the summer book drive! 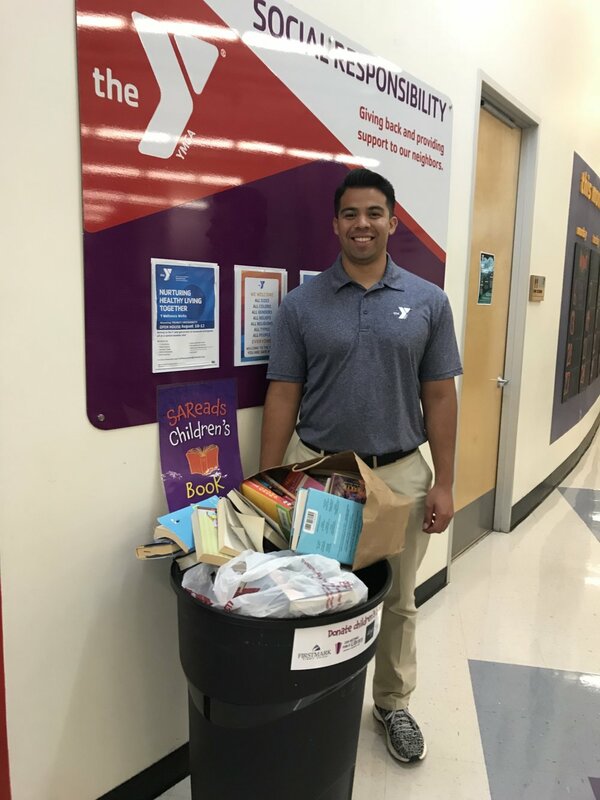 We are grateful to our partners Firstmark Credit Union, San Antonio Public Library, YMCA of Greater San Antonio, The Twig Book Shop, Dead Tree Books and Whole Foods at 1604 & Blanco for helping us collect 10,434 gently used children’s books. SAReads is a high impact organization focused on increasing the number of children reading proficiently. SAReads will impact reading outcomes for approximately 2,500 children this year. In addition, countless children will be impacted by SBRI-trained teachers over the course of their careers. 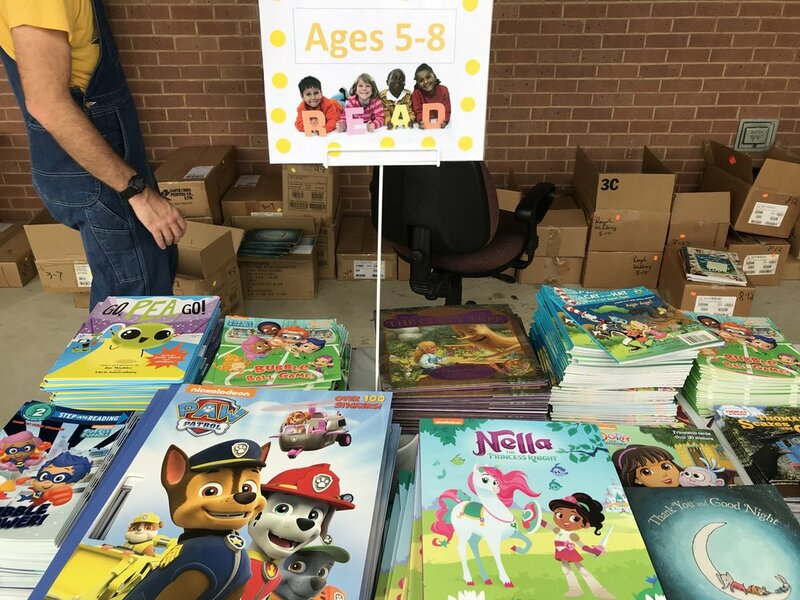 The SAReads Book Bank has distributed over 350,000 books to children, teachers and nonprofits since 2010. Please consider an investment in SAReads this holiday season. You may donate here.